If you missed our live coverage of this game, catch up by reading the match report. Apologies for not being able to bring you any goals tonight - please don't let that spoil the rest of your evening. Be sure to join us tomorrow for more live action from the Championship, as Derby County look to press their promotion claims. The Rams go in search of a third successive league win against a Wolves side that has not won any of their last seven league games. Our live text coverage gets under way at 12:15 GMT. Quote Message: For a 0-0 scoreline, that was an entertaining game. It's another point closer to where Hull want to be at the end of the day, but I think a draw is a fair reflection of the game and Steve Bruce should take a lot of positives from tonight. For a 0-0 scoreline, that was an entertaining game. It's another point closer to where Hull want to be at the end of the day, but I think a draw is a fair reflection of the game and Steve Bruce should take a lot of positives from tonight. Sheffield Wednesday goalkeeper Keiren Westwood tells Sky Sports: "It was a good game with end-to-end stuff, and I'm happy to come away with a clean sheet." Hull midfielder Sam Clucas: "Sheffield Wednesday are on a good run of form and they're a good team, but I think we should have got the three points tonight." 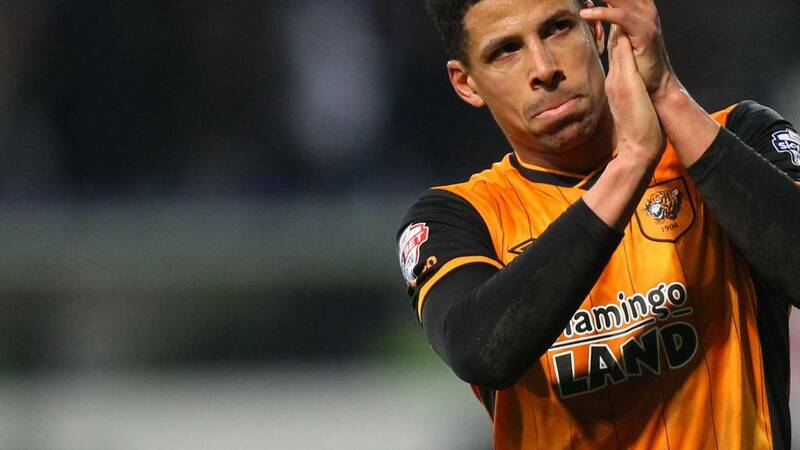 A frustrating night for the Championship leaders, as Hull are held to a goalless draw at home by Sheffield Wednesday, who had Fernando Forestieri sent off in injury time. The Tigers go two points clear at the top of the table, while the Owls create a four-point cushion between themselves and seventh-placed Birmingham. Ahmed Elmohamady comes on for Robert Snodgrass as Hull search for a winner against 10-man Wednesday. Some late drama at the KC Stadium, and a second red card in a week for Sheffield Wednesday forward Fernando Forestieri. He goes down under a lunging challenge from Michael Dawson and the referee deems he dived, before showing him a second yellow card and sending him from the field. Forestieri was sent off in last weekend's loss at Preston. Five added minutes? Where have they come from? Both sides have hit the woodwork and not done a lot else - it just feels like one of those games that's got 0-0 stamped all over it. Easy for me to say, with a couple of minutes plus stoppage time to play, I know. A booking for Sheffield Wednesday's Fernando Forestieri, for a little tug on the shirt of Andy Robertson. Hull get forward from the free-kick on halfway, but Keiren Westwood makes a comfortable save from striker Abel Hernandez. Quote Message: Chuba Akpom is desperate to be in the starting line up, but Abel Hernandez looks tired, in fact, he looks disappointed to still be on the pitch. Chuba Akpom is desperate to be in the starting line up, but Abel Hernandez looks tired, in fact, he looks disappointed to still be on the pitch. A change up front for the visitors. Atdhe Nuhiu is on for Gary Hooper for the last seven minutes. Sheffield Wednesday goalkeeper Keiren Westwood comes for a right-wing cross and makes a bit of a hash of it, but blocks the follow-up shot from Abel Hernandez and the Owls clear. This one is destined to stay goalless. Sheffield Wednesday have dropped deeper and deeper in the second period. Gary Hooper looks increasingly isolated up front. Hull get forward again, the ball breaks to Jake Livermore 25 yards out, and he sends the ball high, wide and handsome. The hosts take off Mo Diame, their match-winner at Ipswich in midweek, and bring on on-loan Arsenal youngster Chuba Akpom. This has been a familiar sight this evening - Hull's top scorer Abel Hernandez has had little to no service up front. Nothing to work himself a serious opening in front of goal, anyway. Hull are looking slightly the more likely at the moment. They force another corner but it comes to very little, as Jake Livermore hooks a volley over the bar from 15 yards. I started my media career as a football commentator for BBC Radio Stoke and, for a season, I watched Powell tearing up League Two as a 17-year-old at Crewe. He scored some very special goals that year, not least a 20-yard volley in Crewe's play-off final win over Cheltenham at Wembley. True, the football public haven't seen much of that since his move to Manchester United, but the player has quality - the type of quality that can win a game from absolutely nothing. Perhaps that's what this game needs. A second Sheffield Wednesday substitution as Alex Lopez replaces Sam Hutchinson in midfield for the Owls. It's Hull's turn to hit the woodwork, Sam Clucas striking the frame of the goal from 18 yards. Curtis Davies heads wide from the resulting corner. A goal is coming, surely. Quote Message: Hull have picked up the pace a bit. They needed to as Wednesday finished the first half a little stronger. Sam Clucas has come close this half though, but his shot lacked the precision of Mo Diame's earlier in the week. Hull have picked up the pace a bit. They needed to as Wednesday finished the first half a little stronger. Sam Clucas has come close this half though, but his shot lacked the precision of Mo Diame's earlier in the week.